He was the Master of Bath and County Harriers from 1911-1914. 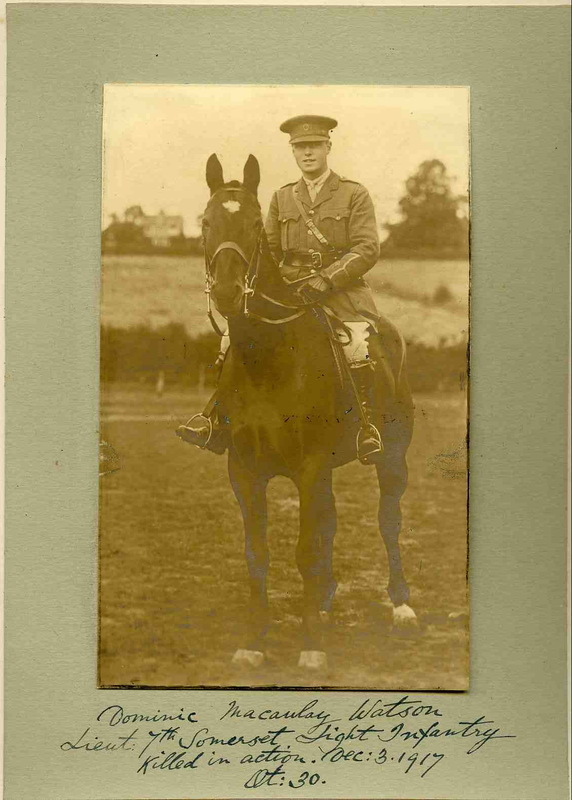 In October, 1914, he joined the 19th Hussars as a private, but afterwards transferred to the West Somerset Yeomanry. As he was anxious to go oversea he took a commission in the Somerset Light Infantry, and left England in October, 1916. He had seen much severe fighting. His only brother fell in the South African War. Posted in Commemorating the Fallen of WW1 and tagged A Social, Flanders & France (Western Front), killed in action, Lieutenant on 3 December, 2017 by archives602.